How do you create a renowned wine and food festival? Bring together celebrity winemakers, top culinary talent, thought-provoking tasting seminars and elements that highlight and celebrate current trends. Expect to find all of this plus more at the South Walton Beaches Wine & Food Festival April 26th through 29th, considered by many as the ultimate wine weekend in Northwest Florida. 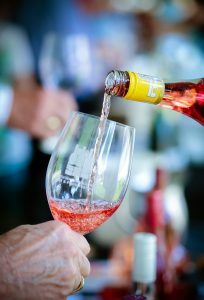 Held in Grand Boulevard at Sandestin’s Town Center, the 2018 South Walton Beaches Wine & Food Festival will feature a dazzling roster of celebrity winemakers, distillers, chefs, brew masters and entertainers while introducing new features including the Rosé All Day Garden and provocative seminars with industry leaders and culinary masters. Festival attendees enjoy an action-packed schedule of special events over four days with a stunning showcase of the best wines in the world. 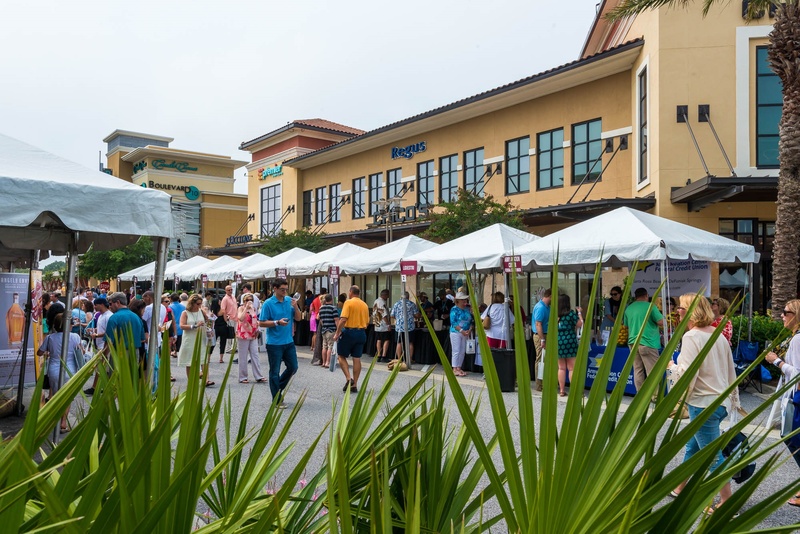 The Savor South Walton Culinary Village offers a sumptuous array of foods to taste, wines to pair, as well as wine and food tasting seminars. Visit the new Rosé All Day Garden, Spirits Row and Nosh Pavilions and enjoy live entertainment throughout the weekend. The Craft Beer & Spirits Jam and Winemakers & Shakers events round out the extended festival weekend. The event is a major fundraiser for Destin Charity Wine Auction Foundation, which benefits children in need in Northwest Florida.